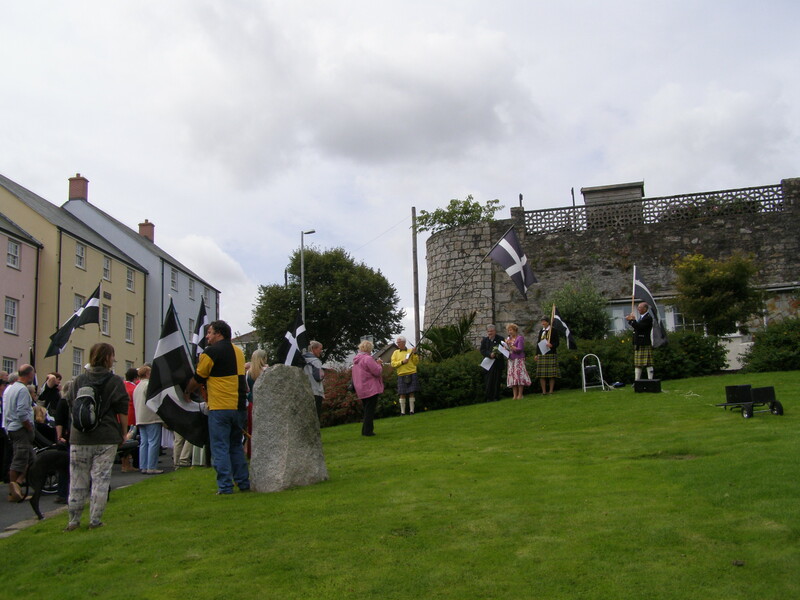 On Saturday 24th August, two weeks before the Cornish Gorsedh is to be held in the ancient town of Penryn, is the annual Open Air Service of Commemoration in that same town. 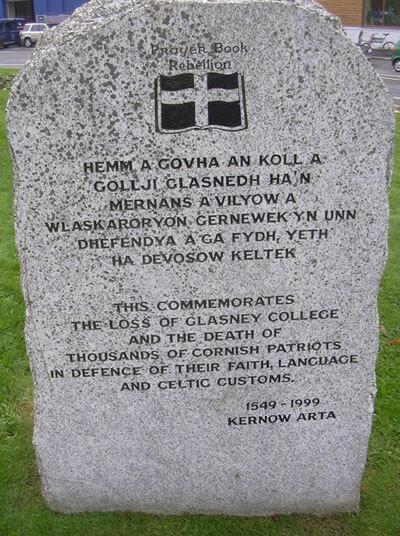 This brief, but moving ceremony remembers the many Cornish people who, over the years, have given their lives in standing up for the freedom of their Homeland of Cornwall, as well as of the British Isles. Last year members of the family of a Cornish victim in the current Afghanistan war were proud to join our ranks. This year, as well as embracing this on-going tragedy, we will remember the slaughter of the Cornish intelligentsia – the Glasney-trained priests from Penryn, who died in 1549 in the ‘Prayer Book Rebellion’. As well as being our own Cornish Remembrance Day, this is also a day of celebration – Penryn Fair Day.